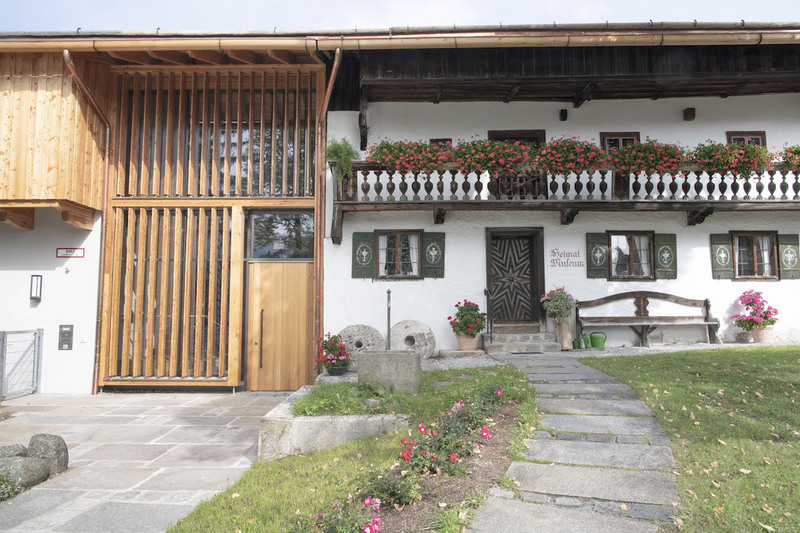 The Schredl house at the centre of Schliersee dates back to the early 15th century. 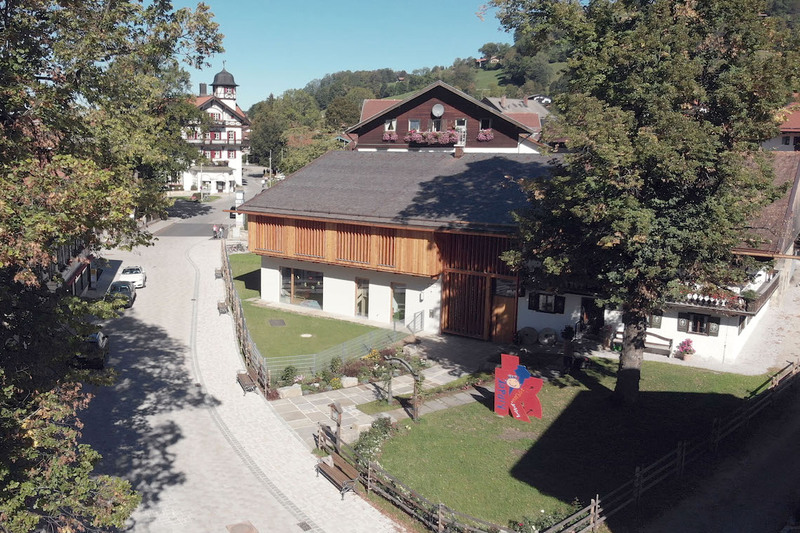 The building has accommodated the Schliersee Local History Museum for a good 100 years now. When planning the redevelopment of the centre of the village in 2016, the local council chose a usage concept that involved adding a new extension to the historic building. 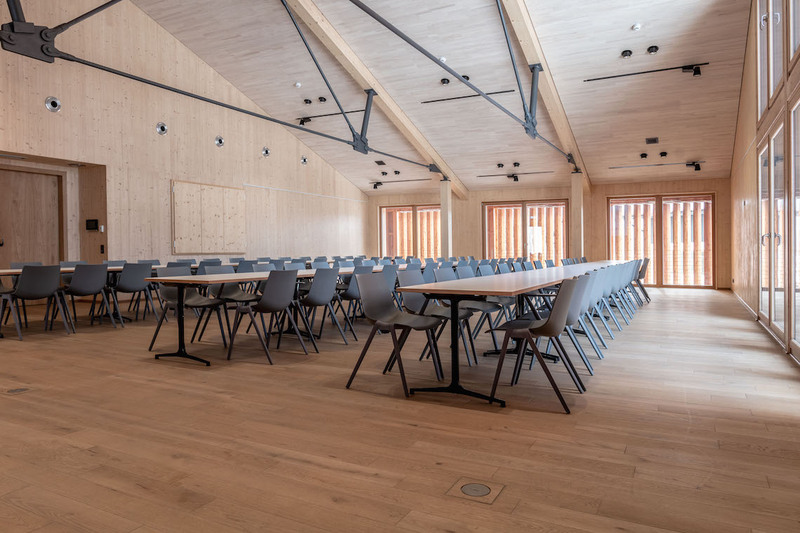 Local architectural firm Johannes Wegmann planned an extension that accommodates a kindergarten on the ground floor and a function room on the top floor. A foyer acts as the link between the old and new parts of the building. Similarly to a gallery, the exposed walls on the inside pay tribute to architecture in times gone by. 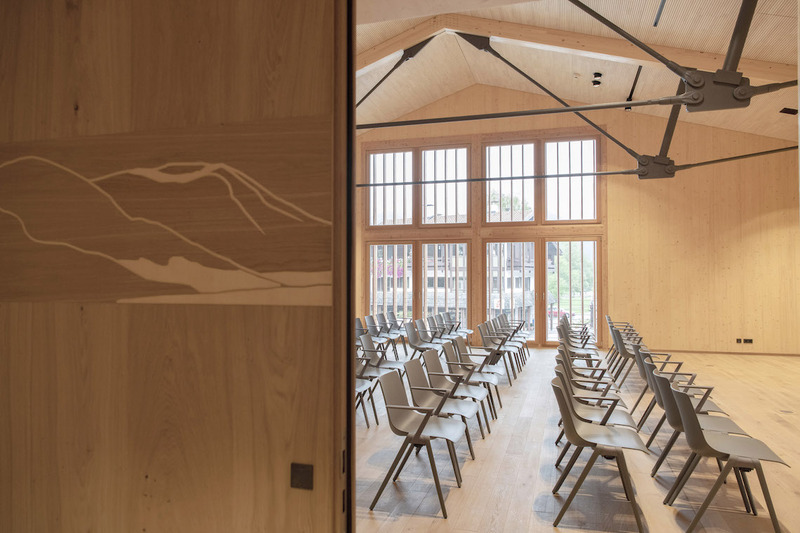 The spacious function room on the top floor is clad in wood and has been designed to suit a variety of purposes. 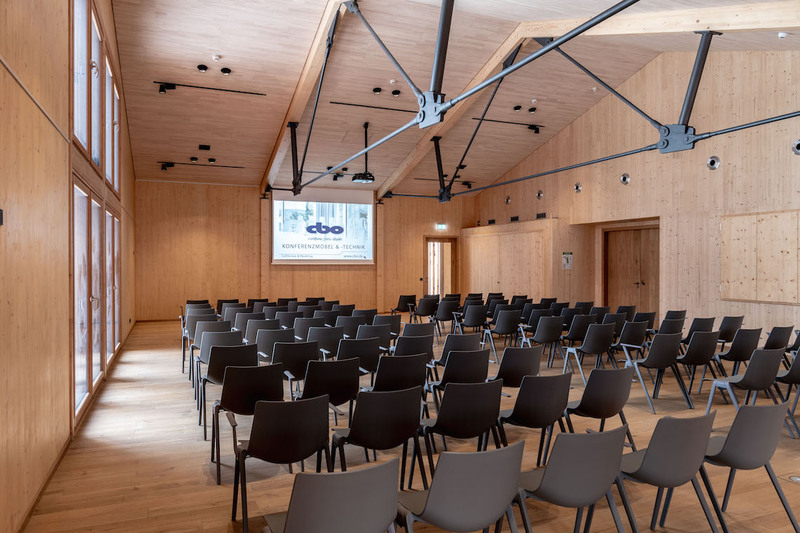 Electronically controlled wooden louvres adjust the amount of daylight required, high-tech projectors are available for presentations and Wilkhahn furniture makes an extremely flexible usage concept possible. 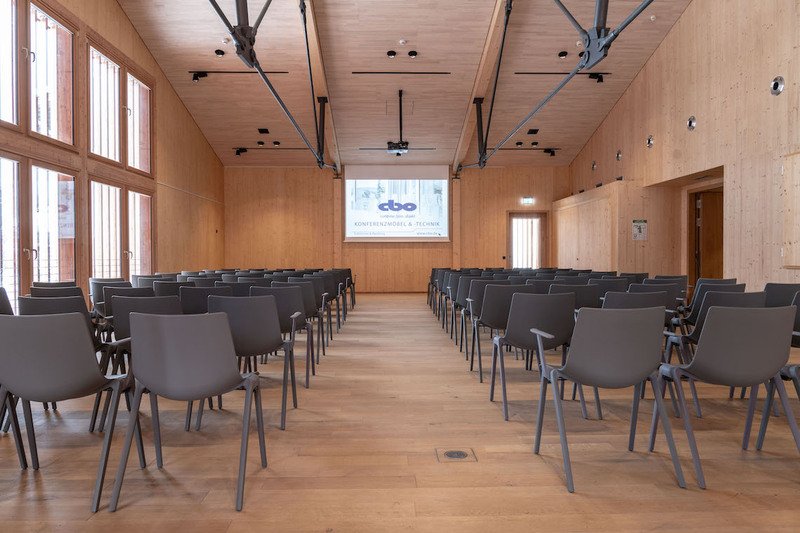 Whether people want to conduct meetings or discussions, listen to presentations or party, the 20 mAx folding tables (design: Andreas Störiko) and the 100 Aula multipurpose chairs (design: Wolfgang C.R. Mezger) can be assembled in no time and configured to suit requirements. And if they’re not required, they’re just as quick to stow away without taking up much space. Click here for more about the architectural firm. Click here for more information about Wilkhahn dealer cbo computer- und bürotechnikvertrieb oberland GmbH. Click here for more about the Aula multipurpose chair range. Click here for anything you’d like to know about the mAx folding table. A short film impressively demonstrates how quick and easy using mAx is.